For the campaign, Red Consultancy wanted us to provide them with a print-only service. We were provided with 10 individual T-Shirts and we were asked to print the same design on all 10 T-Shirts in advance. 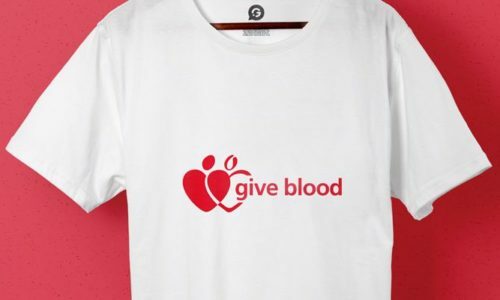 Once the campaign kicked off, we were then asked to print a unique and exclusive version for each celebrity which was involved in the campaign to show off their specific blood type and group. We were delighted to work with the campaign and proud to become the printing company for the Give Blood charity. We decided that to ensure that we were always able to meet deadlines set that we would use a combination of Screen Printing, Transfer Printing and Cad Cut Vinyl printing as it would ensure a quick turn around and meant that we were able to create all of the T-Shirts quickly and efficiently.